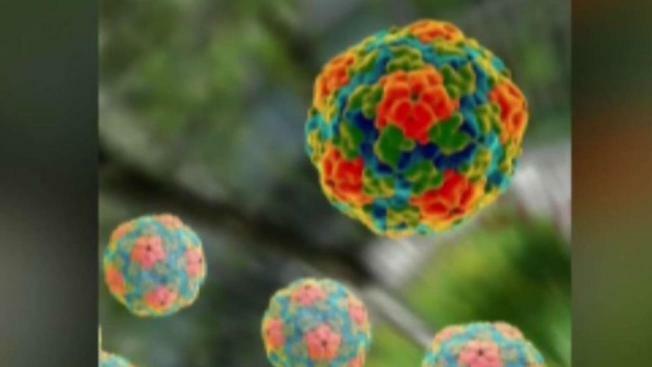 In New Hampshire, health leaders are warning the public about an expanding Hepatitis A outbreak that has killed one person and sickened dozens of others. New Hampshire health officials say a hepatitis A outbreak that has already claimed one life in the state is accelerating. The Department of Health and Human Services says they've seen 33 hepatitis A diagnoses in March alone. Since November of 2018, 79 people have been diagnosed with hepatitis A, compared to an average of six or seven people annually in recent years. Since November, 36 cases have been diagnosed in Hillsborough County, 17 in Strafford County, 10 in Rockingham County, 10 in Merrimack County, two in Cheshire County, two in Grafton County, one in Sullivan County and one in Carroll County. One person from Merrimack County has died. "Hepatitis A is spread by unknowingly getting the virus in your mouth after touching or eating items that are contaminated with small amounts of stool from an infected person. Hepatitis A can also spread from close personal contact with an infected person or caring for someone who is ill,” said Beth Daly, chief of the state's Bureau of Infectious Disease Control. "Hepatitis A is preventable with a safe and effective vaccine, which is vital to stopping this outbreak. People at high risk for infection should talk with their health care provider about getting vaccinated." Hepatitis A causes inflammation of the liver. Severe infections can result in liver failure and even death. Symptoms include fever, tiredness, loss of appetite, nausea, vomiting, abdominal pain, dark urine, clay-colored bowel movements, joint pain, and jaundice. There is no specific treatment for hepatitis A.
Eighteen states have declared an outbreak of hepatitis A. More than 15,000 cases and 140 deaths have been reported in the U.S. For more information on New Hampshire’s outbreak, visit www.dhhs.nh.gov/dphs/cdcs/hepatitisa/hepa-nh.htm.